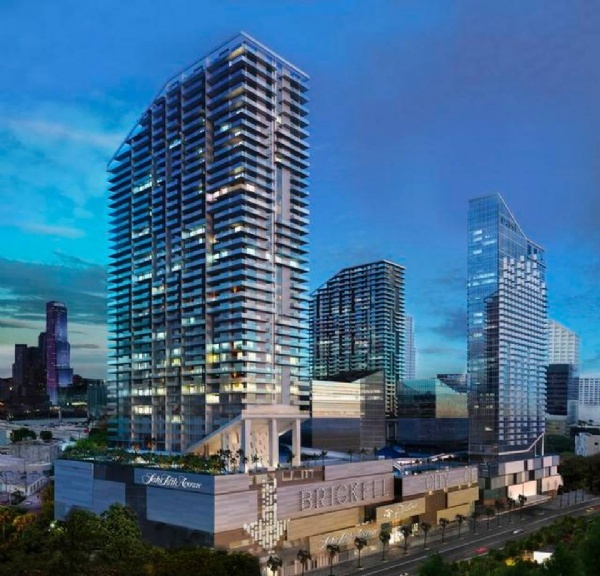 Brickell City Centre Reach in the most desirable location in Downtown Miami on Brickell Ave will be home to 383 luxury condominiums with ceiling heights ranging from 9 feet 4 inches to 11 feet and 4 inches. In addition, it will feature Exclusive collection of seven Penthouse Residences with 12 feet 4 inches ceilings all with upgraded appliance packages, outdoor kitchens and some with private rooftop pools and outdoor spas. Ten luxurious corner Tower Suites featuring three bedrooms and four baths. All residences are delivered fully finished and furniture-ready with choice of two interior finish packages including Italian cabinetry and imported marble floors. Biometric technology elevator access, city-view terraces with glass and aluminum railings directly accessible from living areas and bedrooms, floor-to-ceiling sliding glass doors and over-sized, fully finished walk-in closets in all master bedrooms are all part of these amazing residences. Of course all rooms are pre-wired for high-speed data, telephone and cable, with USB charging outlets in bedrooms and master closets. The new Brickell City Centre Reach is a chic cosmopolitan residences tailored for global citizens, These future homes offer influential fashion brands, uncommon entertainment, chef-driven restaurants and artisan bistros, an innovative wellness center, offices and Swire Hotels high-design EAST, Miami hotel, residents at Brickell City Centre will find themselves in very good company at the skillfully synthesized intersection of it all. Please call our office Lana Bell – One Sotheby’s International Realty to get more information. We are expert realtors servicing Bal Harbour, Miami Beach, South Beach, Downtown Miami, Brickell and Sunny Isles Beach areas. 383 luxury condominiums with ceiling heights from 9'4" to 11 '4"